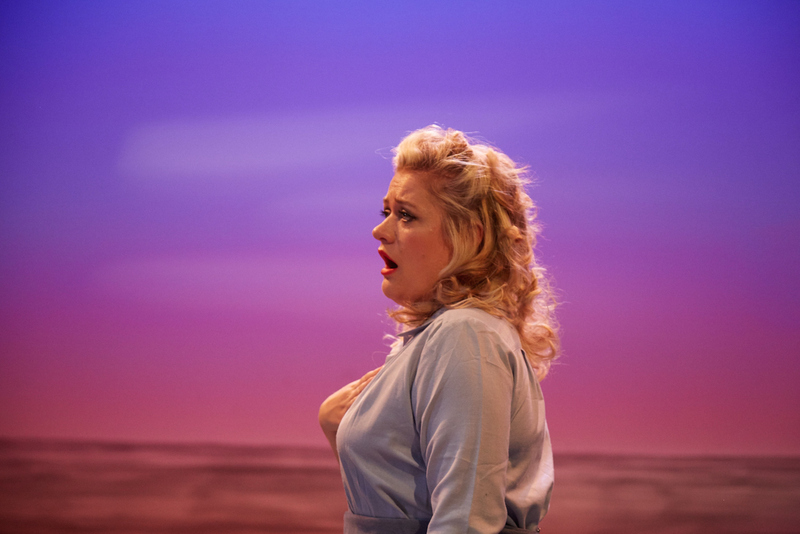 Brimming with rapturous Puccini-esque music and sung by a wonderfully well-matched cast of five, Lyric Opera of Melbourne’s hand-polished production of long lost Melbourne opera Stella is a gem. When a piece of theatre has been neglected for 100 years since its premiere there is usually a good (or, should I say, bad) reason. Based on the beautiful score and affecting story, Stella has been unjustly neglected. A substantial debt of gratitude is owed to savvy saviour Pat Miller, artistic director of lyric Opera of Melbourne, for resurrecting the piece and restoring it to musical glory. Arriving from London in 1891, composer and conductor G.W.L. Marshall-Hall made significant contribution to music in Melbourne, serving as Professor of Music at University of Melbourne before going on to establish Melba Conservatorium in 1900. A controversial and outspoken figure, Marshall-Hall is believed to have based the themes of his libretto for Stella on his own exclusion and judgment by members of conservative Melbourne society. In a bayside Melbourne town in 1909, Dr Kirke’s new nurse Stella is recognised by Mayor Chamley as the woman he had an affair with, and subsequently abandoned, ten years earlier. Rev. Weldon also recognises Stella, and is set to tell Mrs Chase about her, unaware of Stella’s connection to the Mayor. Despite a loving proposal of marriage from Dr Kirke, Stella‘s anguish drives her to make the tragic decision to take her own life. Soprano Lee Abrahmsen’s achievement in the title role is remarkable, in that she not only clearly establishes a character that is unfamiliar to the entire audience, but also endears the character to us, leading to a moving finale to the brisk one-act opera. 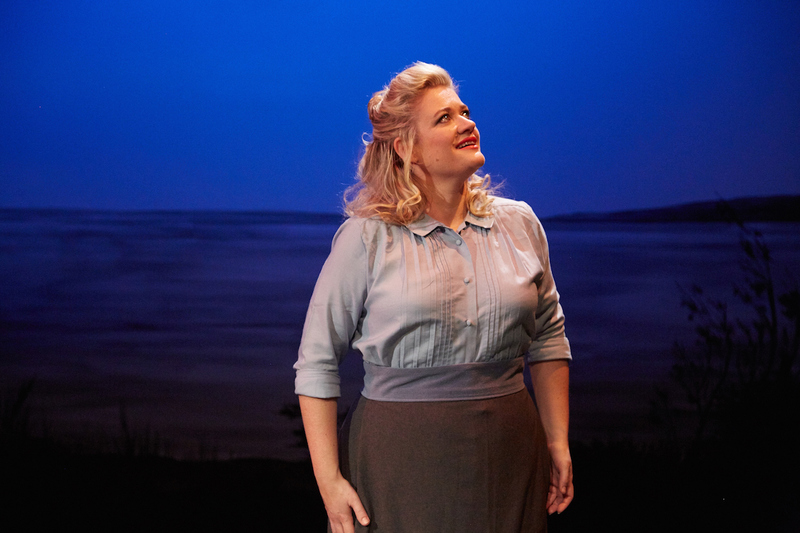 Presented as an angelic blonde vision, Stella’s compassion, anguish and vulnerability engage our sympathy and affection in Abrahmsen’s capable hands. 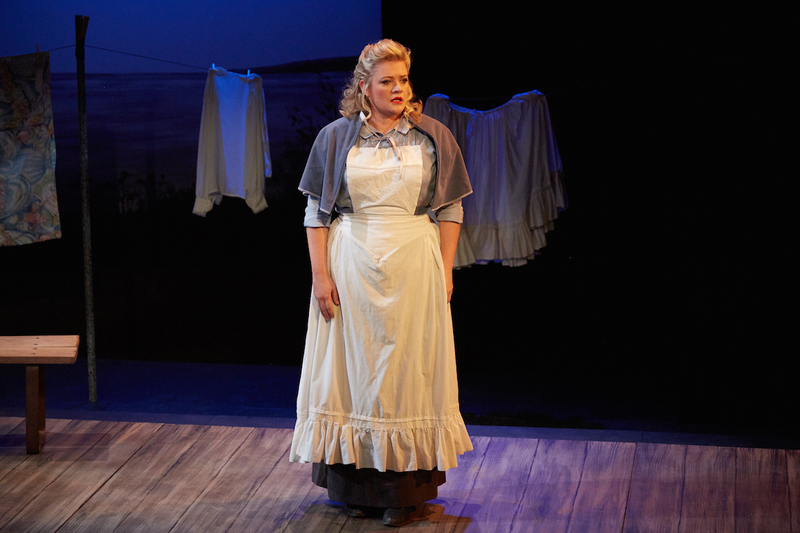 In addition, Abrahmsen sings the role splendidly, her golden soprano ringing out with ravishing beauty. Abrahmsen displays sumptuous tone across her full range, with her high notes being of especial quality. Maestro Miller’s meticulous work with the 16 assembled musicians allows them to be heard as a cohesive orchestra, bringing out layers of shimmering colour in Marshall-Hall’s score. Having personally reassembled the orchestral parts for this season, Miller’s knowledge of the music is comprehensive, allowing a performance of such confidence that the piece comes across as a natural, highly accessible fit for an opera season. Sung in English without surtitles, diction is clear and precise, although the lack of a pit means that the instrumental music occasionally threatens to overpower the singers. A highlight of the score is the stunning quintet, as each character reflects on their position in the story and on the beauty of nature. 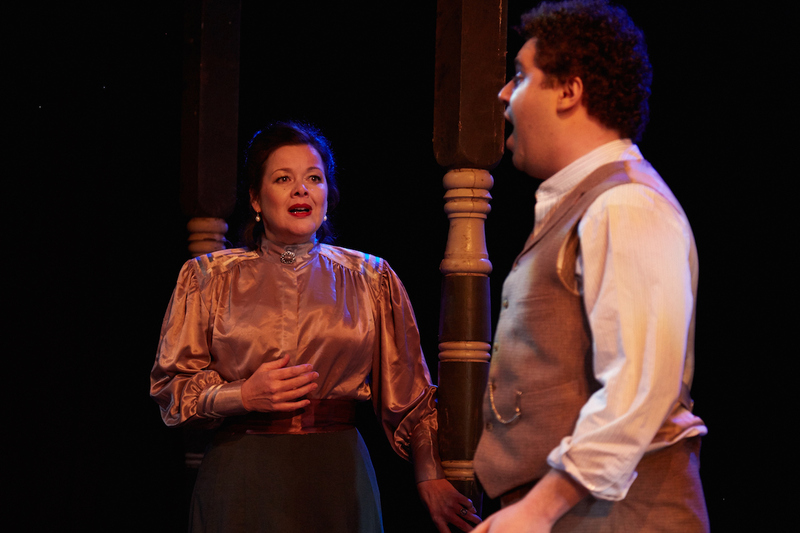 There are the odd melodramatic moments in the libretto of Stella, but director Jessica Harris has her cast commit to the truth and emotion of the story, playing the scenes in a straight, naturalistic manner. As the mystery of Stella’s past unfurls, storytelling is clear and involving. Harris navigates the limited space effectively, and deftly facilitates the singers’ connection with the audience by having them almost always face front. Mattea Davis provides an attractive scenic design, placing a diagonal verandah in front of a beautifully painted bayside view backdrop. 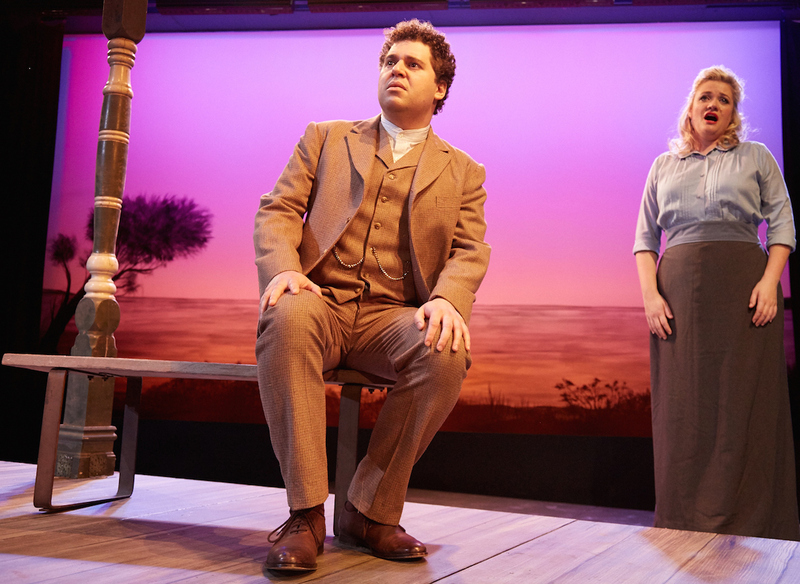 In his lighting design, Rob Sowinski makes expert use of this backdrop in portraying differing times of the day. Sam Fisher’s costumes are as supportive of the storytelling as they are visually attractive. Robert Barbaro displays an exciting tenor voice as Dr Kirke. Barbaro displays a gently relaxed vocal technique as he transitions to high notes with ease. As a young artist, Barbaro’s confidence with acting is still developing, but his earnest passion and singing strength are most impressive. 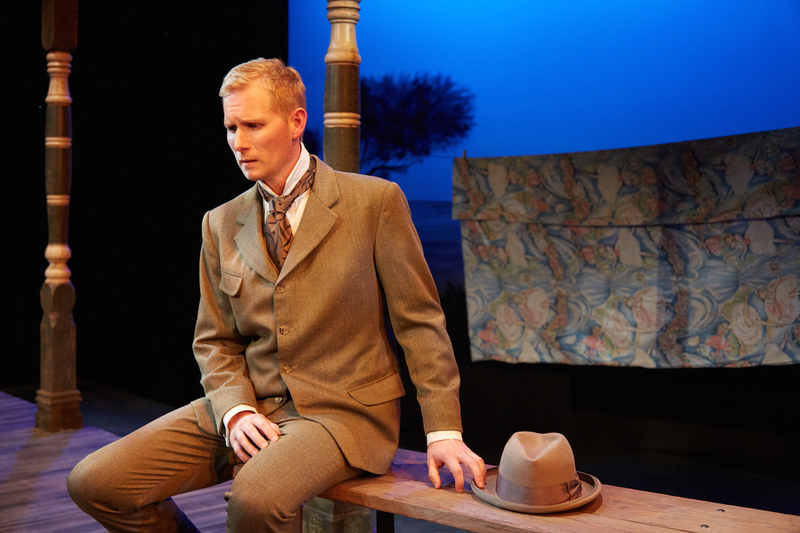 At first appearance, Matt Thomas seems a little young to be a man with a murky past, but the talented performer plays the role of Mayor Chamley with serious intensity, conveying the undercurrent of tension in the man’s quest for self-preservation. Thomas’ unwavering bass voice has a well-focused intensity and purity. Caroline Vercoe gives another warm, engaging performance as Mrs Chase, a well-to-do woman suffering with the helplessness of having a sick child. Along with her finely honed acting talent, Vercoe’s fluid, expressive mezzo-soprano is a distinct asset to the musical quality on show. Shoumendu Ganguly conveys the professional piety of Rev. Weldon, making it clear his judgment of Stella comes from the church he represents, not from personal malice. In fine voice, Ganguly’s baritone is a pleasure to hear. 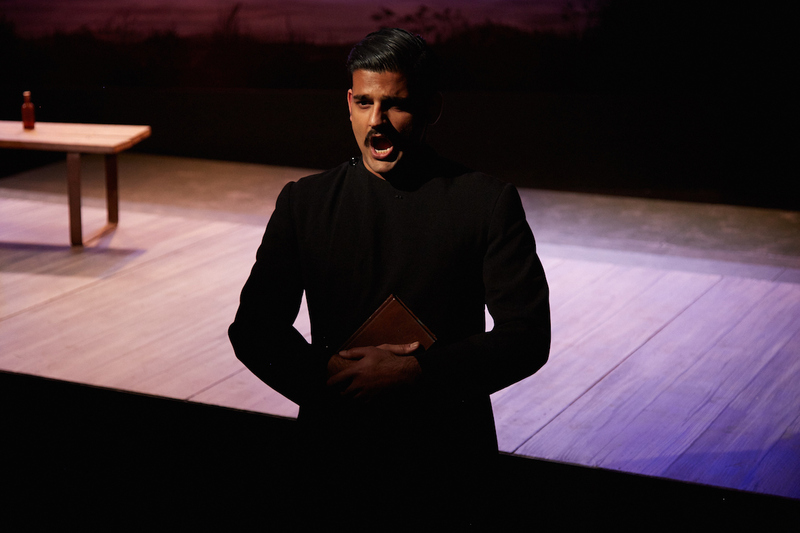 Future presentations in Lyric’s Australian Opera series are keenly anticipated. Opera lovers of Melbourne should not miss Stella. Stella plays at David Williamson Theatre, Prahran until 30 September 2015.